Special thanks to Mill City Museum for hosting us while in Minneapolis! 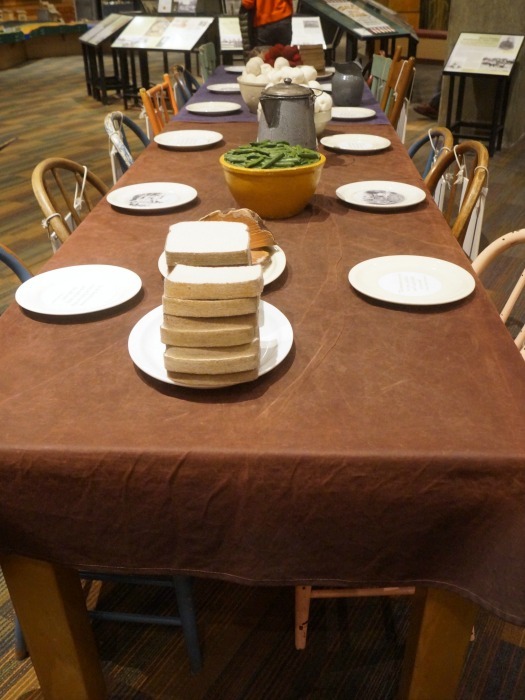 On our recent trip to Minneapolis, one of the places we visited was the Mill City Museum. 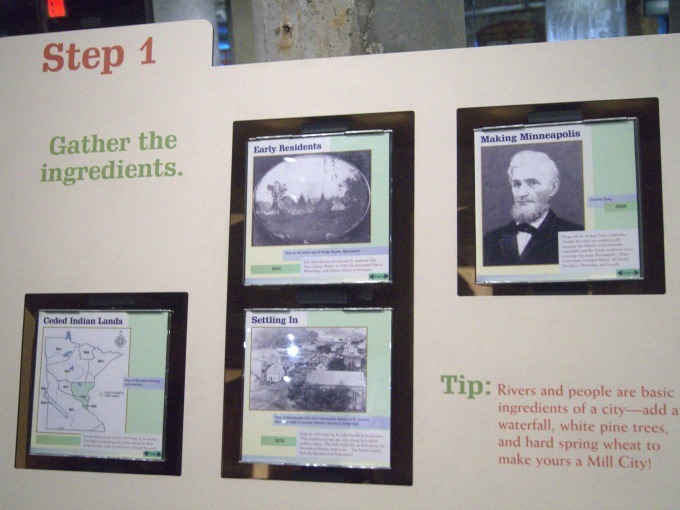 Did you know that Minneapolis was basically built on mills and milling flour? 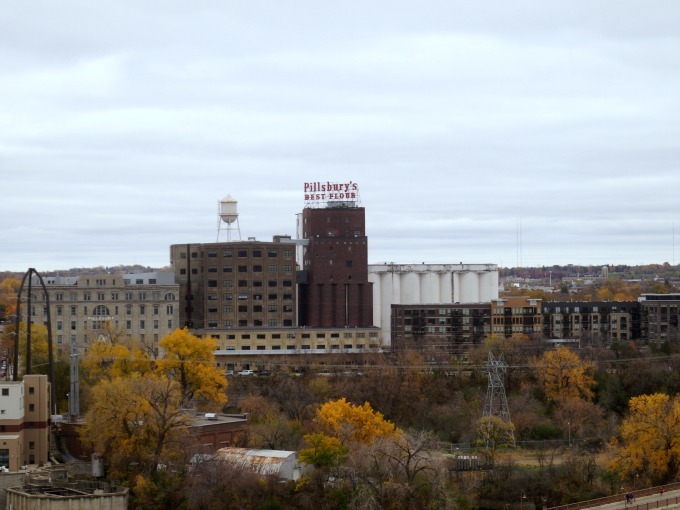 The Mill City Museum is built in the Washburn A Mill, which was once the largest flour mill in the world. 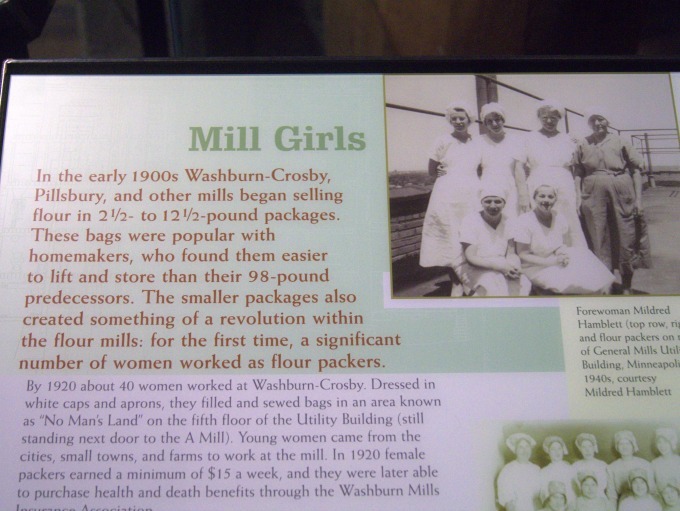 Mill City Museum was jam packed full of history about the flour milling industry, and the history of the area. I had no idea that Minneapolis had such a history, and I was curious as to why there? 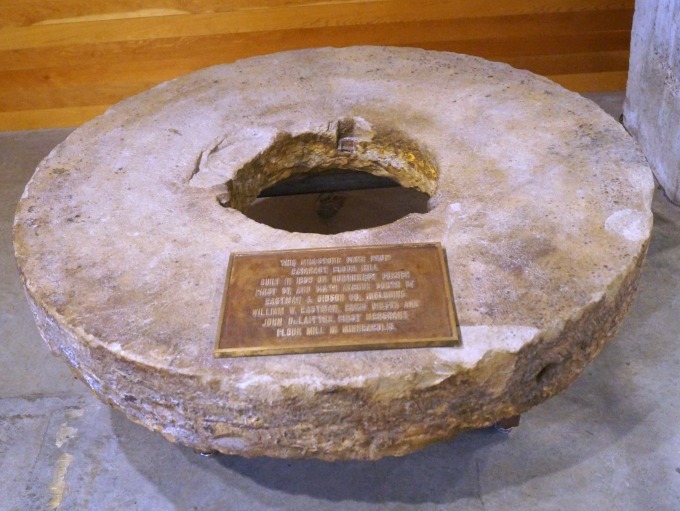 How did the city become the flour milling capital of the world? As it turns out, the location on the Mississippi river, and the St Anthony Falls, created the power needed, as well as the ability to transport goods in and out of the area. Who knew?? 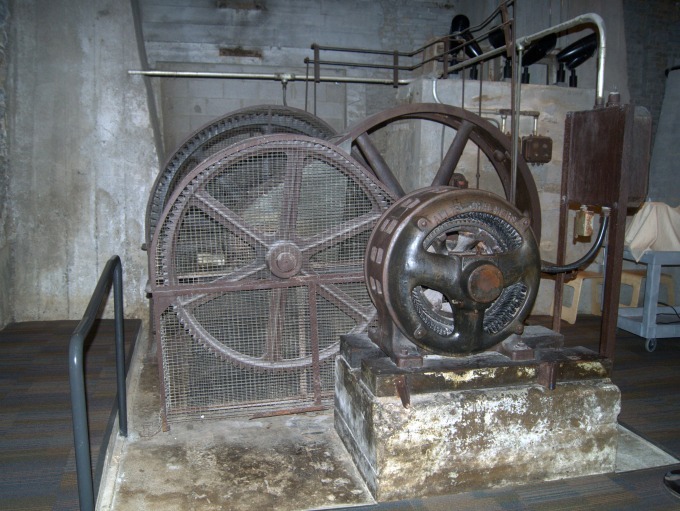 The museum itself had lots of the old equipment, and after a fire in the early 1990s, the mill was restored and the museum was built. 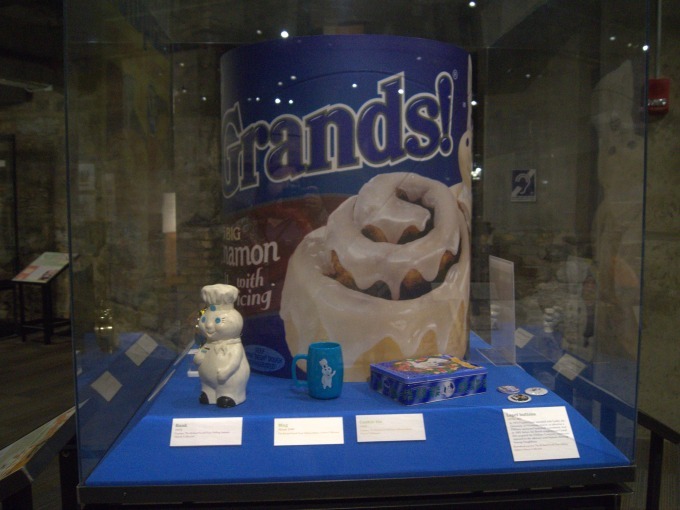 One of the other things that the museum has is a lot of artwork from local and renowned artists. I didn’t know about the significance of many of these pieces, or the artists, until I returned home. 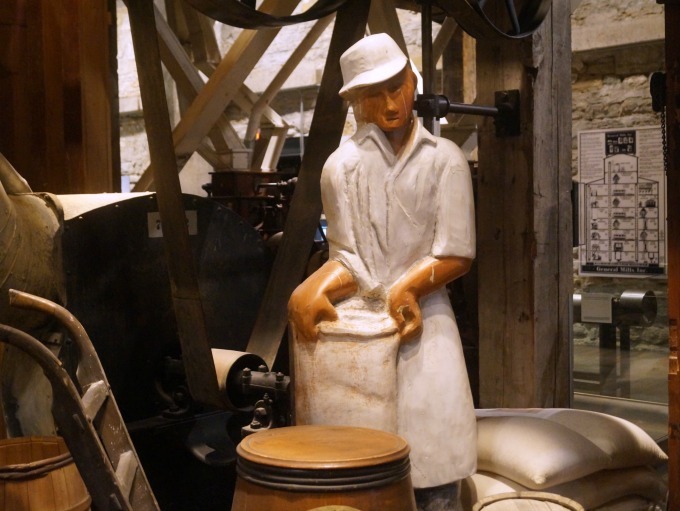 When you enter the museum, you realize that it’s in an old building that’s been restored, but you don’t really realize that it’s an old flour mill. It’s not until you go down into the artifacts room that you begin to realize what’s actually there. 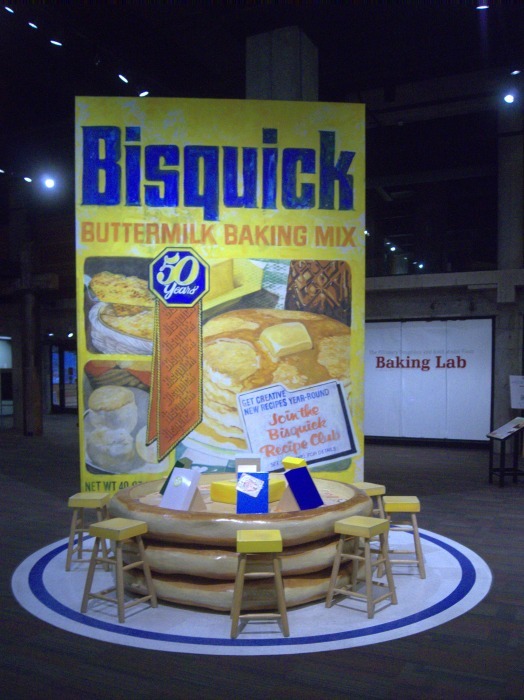 When you go downstairs, you’re greeted by a ton of history about flour milling. 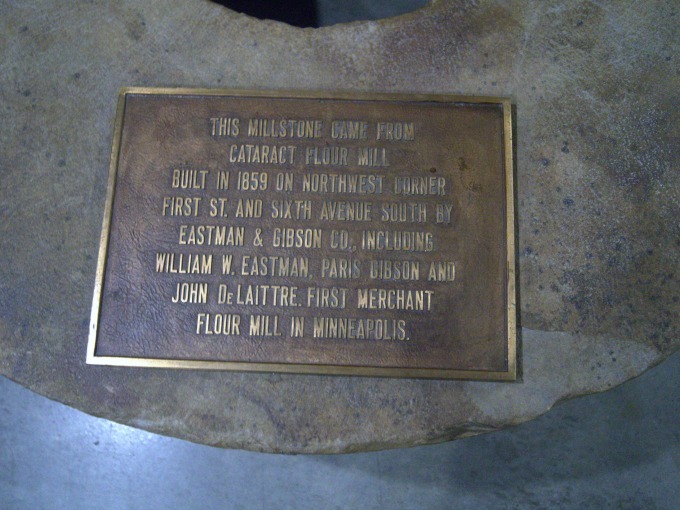 Not only written history, but there are a lot of artifacts, like an actual millstone that dates to 1859, and is from the first merchant flour mill in Minneapolis. 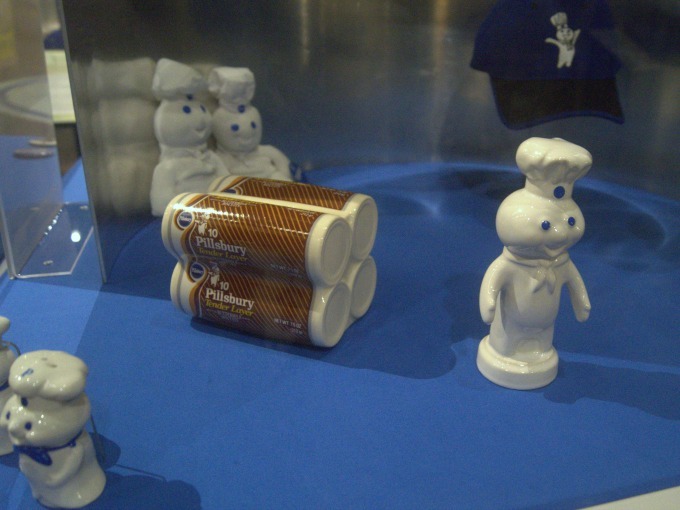 You also learn the history of flour, and how innovations have really changed our world. One thing that really surprised me was the fact that flour wasn’t sold in bags smaller than 100 lbs. until the early 1900s. When small bags, ranging from 2 ½ lbs. to 12 ½ lbs., were introduced, they were wildly popular. 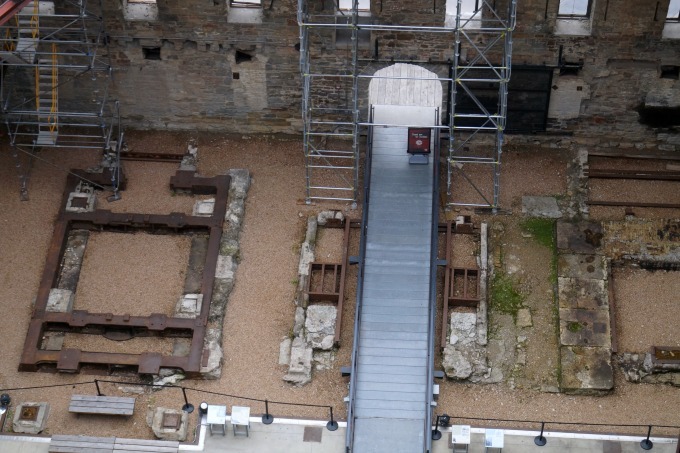 This also led to women working in the mills, which has its own history and story. One of the things that I, personally, enjoyed seeing was all the branded merchandise and promotional materials. We can all remember saving those box tops or proofs of purchase to send in for some trinket. Well, the Mill City Museum had what seemed like a hundred or more of these things on display. It was interesting seeing how the branded swag had changed over time, and what the popular items were. From there, we went into the freight elevator, which has been turned into a mini Amphitheatre of sorts. They had a well-done video that covered more of the history of the flour mills, from inception through the closure of the mills in the 1980s and 1990s. Once the video was over, we were on the 8th + 9th floors, where there was some other old equipment, mainly filtration systems, and an observation deck. This provided for breathtaking views of Minneapolis and St Paul, and the revitalized downtown areas. This also gave a great view of Mill Ruins Park, Gold Medal Park (notice the theme?) the St Anthony Bridge and the Stone Arch Bridge. This ended the tour, and our guide answered lots of questions and shared some fun fact trivia. I would go again. We enjoyed ourselves, and I’m sort of a history and trivia buff, so I liked learning the history. I do wish that the exhibits had more information, or a guide in that area. That would have been nice, as there was quite a bit I didn’t know, or didn’t make sense, until I came home and did some internet research. 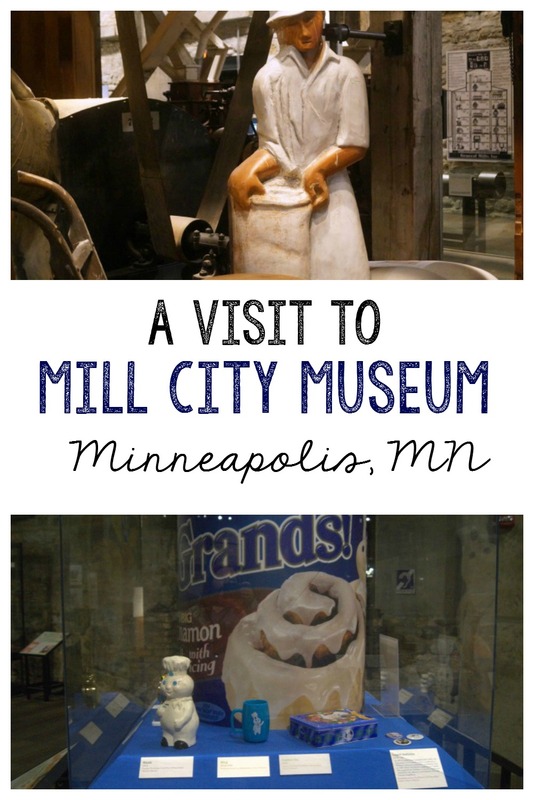 A trip to Mill City Museum is a great way to spend a couple hours in an afternoon. There was a parking garage right across the street for convenience, too.